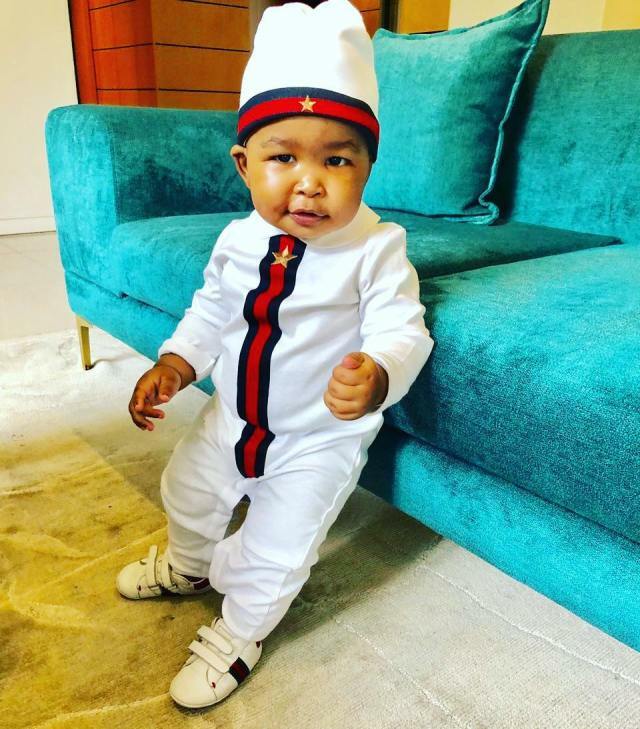 Kenny Kunene splurged more than R23,000 on gifts for his son Remo’s first birthday, buying him a whole mini car collection including a Lamborghini, a classic Mercedes Benz, Cadillac, Ferrari, and Bentley. And the little man can’t even walk yet! 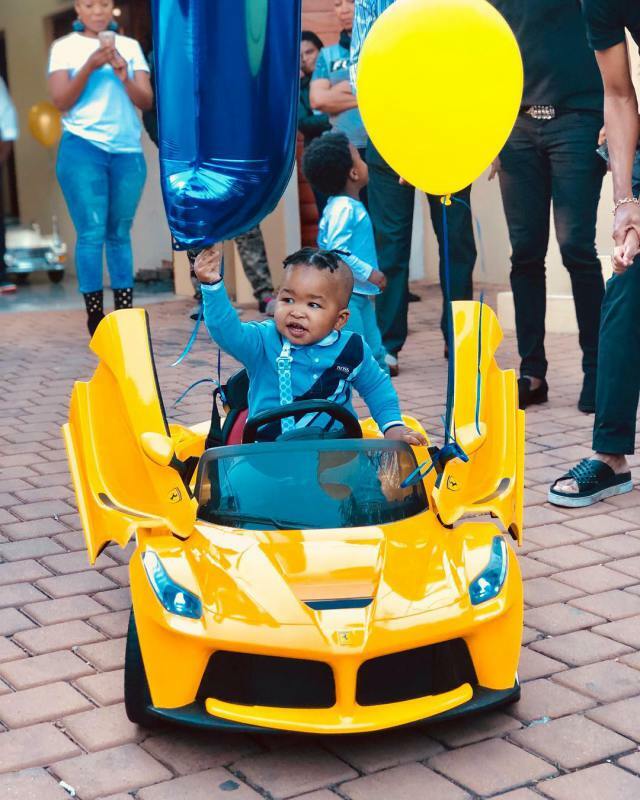 Kenny and his missus threw a lavish pre-birthday party for little Remo over the weekend and wowed guests when they unveiled Remo’s gift: a garage full of cars for him to drive right now. According to online stores, the cars rank between R3,000 and R6,000 each. In a video of the awards, little Remo is seen riding some of the cars (perhaps by a remote control operated by his daddy) as his birthday cake sits on one of the car’s bonnets and people clap. Kenny paid praise to his son, listing some of the qualities he saw in the little man. 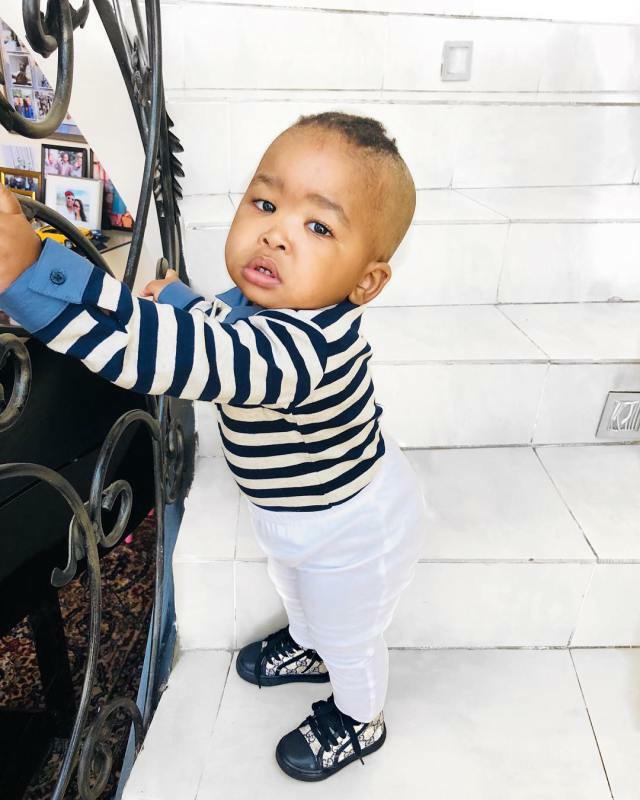 Speaking to TshisaLIVE previously, Kenny said that he celebrated on his child because he now had the means to and was not fazed by what people might say. “I had my children at different spotlights of my life. There are things that I wish I could give my other children. However, I gave them the best I could afford at the time. Best is relative, and now I am better financially, and therefore Remo has what he has,” Kenny said at the time.